The American cockroach can pick up germs on the spines of their legs and bodies as they crawl through decaying matter or sewage. They then carry these germs into homes—moving from the kitchen to the bathroom to the bedroom. 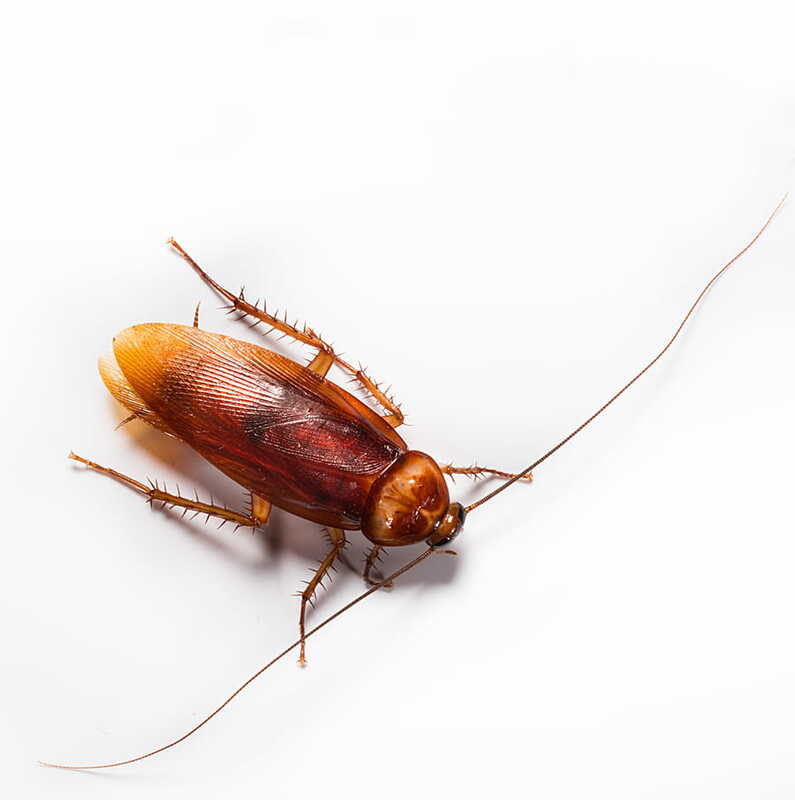 When cockroaches walk on food, touch things with their antennas, defecate or shed their skin, they can cause allergic reactions, irritation, lesions, swelling and even minor infection. The American cockroach is the largest species of common cockroach. They are mostly found in sewers and basements, particularly around pipes and drains. However, when they are found in homes, they have been known to cause allergic reactions, irritation, lesions, swelling and even minor infection. Measuring up to 5 cm in length, American cockroaches are a reddish-brown and have a yellowish area on their body just behind their head. Though American cockroaches have wings, they rarely fly unless temperatures exceed 30 Celsius. American cockroaches prefer moist areas like sewers, flowerbed mulch, heavy foliage, palm trees and decomposing matter. But if the temperature gets too hot or too cold, or if it gets too dry or wet, they will move indoors taking up residence in houses, apartments, warehouses and office buildings. The American cockroach has three life stages: the egg, nymphal instars and the adult. The life cycle from egg to adult averages about 600 days and the adult life span may be another 400 days. Is the American Cockroach hazardous to humans? Once cockroaches enter your home, they invade your kitchen, bathrooms and bedrooms. Roaches spread diseases and cause a distinct odour. 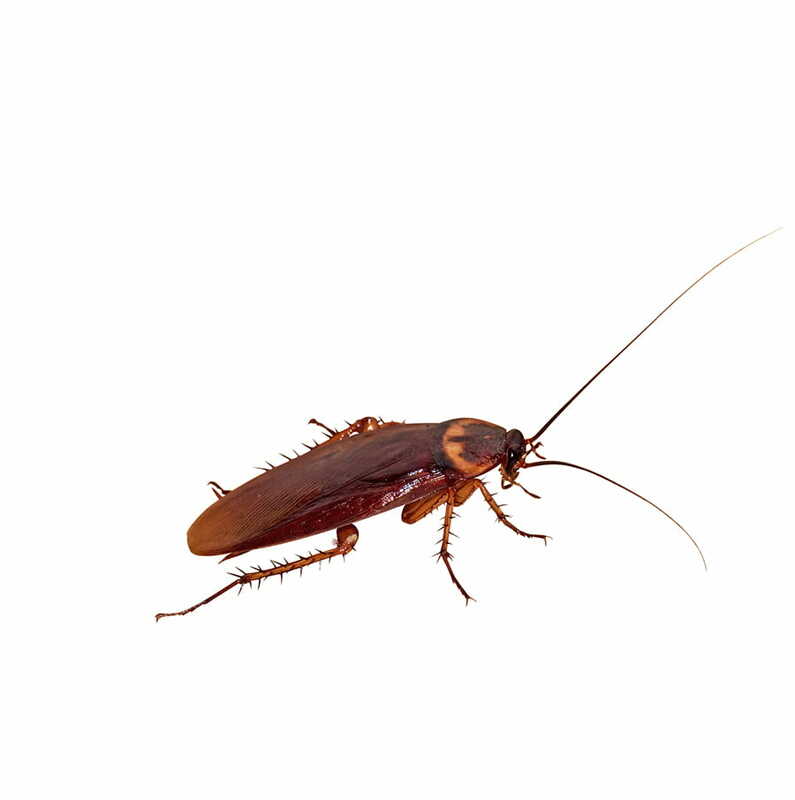 Diseases spread by roaches include cholera, dysentery, gastroenteritis, leprosy and salmonella. The American Cockroach have been known to cause allergic reactions, irritation, lesions, swelling and even minor infection. What causes an American Cockroach infestation? The best way to incur a roach infestation is through food. This can be human food, pet food, bird feed, even cardboard. How can I prevent an American Cockroach infestation? 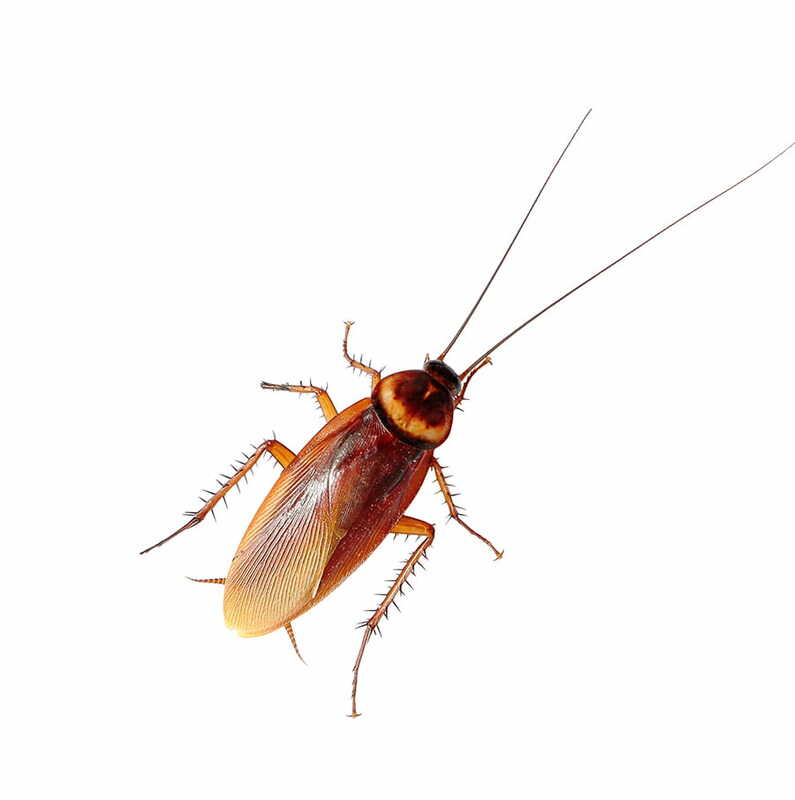 Cockroaches are extremely resilient pests, so the practice of good sanitation and the elimination of accessible food are ways to minimize a roach infestation. Ensuring food items are tightly sealed is important in preventing a roach infestation. If you have found roaches in your food, throw out the food source right away. How do I remove an American Cockroach infestation? While good sanitation is key, you can also use chemical controls such as baits. Baiting can be an effective method to eliminate American cockroaches. Spraying is not advised, but baits are a cleaner way to control a residential infestation. In addition, shut out any future invaders by sealing up cracks, holes and gaps between the inside of your property and the outdoors. If your infestation spreads larger and becomes unmanageable, consult your Abell Pest Control Technician.